At Professional Roof Applicators Inc, we take the time to get to know our clients to better meet their requirements on all levels. We have the expertise to handle any size roof replacement project from start to finish, with little disruption to the clients’ activities. Our goal is to add you to our family of over 30,000 satisfied property owners across the South. We enjoy the challenge of locating and identifying the causes of roof leaks and then working out a solution that eliminates these causes while providing homeowners with a friendly and courteous service at a price they can afford. We strive hard to ensure property owners find relief from the roof problem that they have endured for many nights, months and even years. From minor shingle replacement to major roof overhaul, no roofing work is too much for us. You can always expect the same quality workmanship and service either way. We are an expert in handling insurance claims and we offer a variety of financing programs as well as extended warranty protection. We are fully insured with Workers Compensation and General Liability Insurance and will gladly provide verification before starting any job. 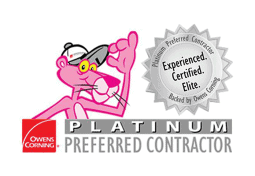 We are a proud Owens Corning “Platinum Preferred Contractor”, a founding member of the UASRC, our roofing inspectors are certified, we have an A+ rating with the Better Business Bureau and all of our installers are trained and certified. We understand you have a choice in roofers, and there is always the temptation to hire cut-rate. We ask you to give us the opportunity to inspect, discuss our findings and compare quotes and scope of work. Many clients are pleasantly surprised to find that we can offer a wider variety of options. We offer this link to the Owens Corning Contractor Expectations Checklist to assist in asking the right questions. 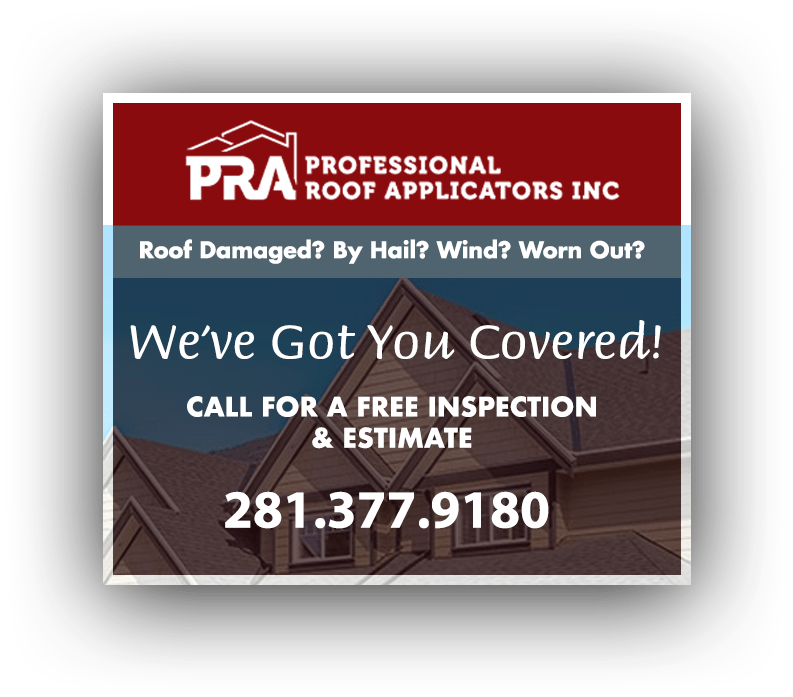 For more information about our roof replacement services, call us at (281) 377-9180 or send us an email to schedule an appointment and request a free estimate via our Contact page. If you call us today, we can offer you a 10% discount to your next Roof Repair!